In Sicily, the beginning of November marks the end of good weather, when few crops and plants are growing. As a result, we have Il Giorno dei Morti, or in Sicilian, Un juornu re muorti–The Day of the Dead. Marking the end of the agricultural year, the holiday is a celebration of the dead by the living. Although traditions are changing as a result of the modern world, in the past, on November 2, Sicilians, who have a profound appreciation for the connection of life and death, spent the holiday recognizing their dead loved ones by visiting their graves to pay tribute. They ritually had picnics at the graves. Today, however, celebrating the dead with a feast is done more often at home. To avoid scaring the children too much with the summoning the dead, which is the object of the feast, there is a tradition of the youngsters waking up to find toys or sweets that have been left by the visiting dead relatives. 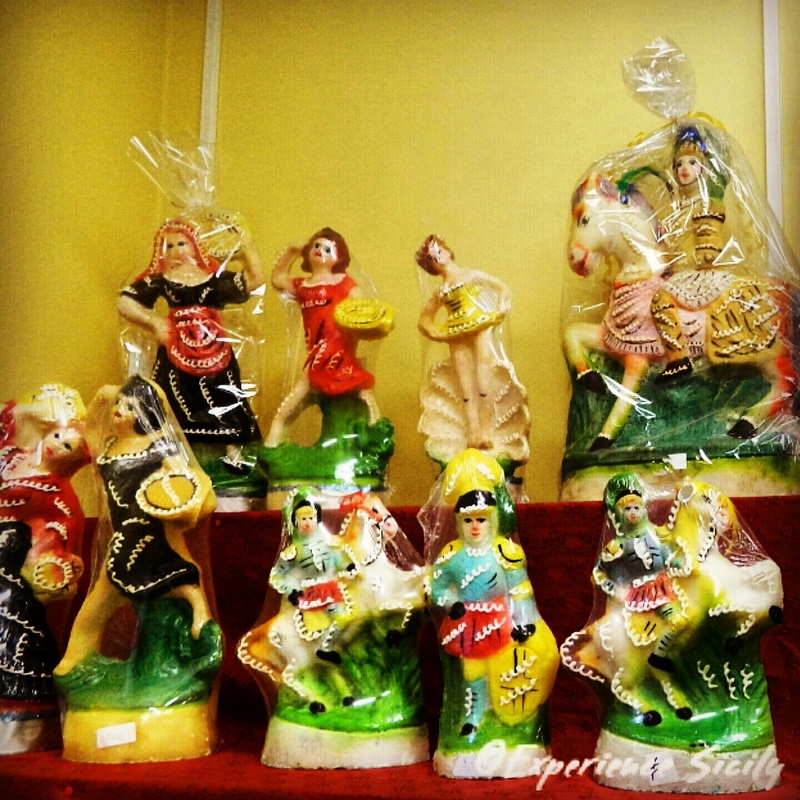 Before the mid-20th century, that meant frutta Martorana (marzipan sculpted to look like fruit) and sugar dolls, or pupaccene, pictured, which are still made today explicitly for this holiday by a handful of artisan bakers in the region.